I have an issue with the eShop. That may not be the biggest revelation to a lot of you. After all, we all have issues with the eShop. However, most of the issues seem to stem from the lack of content, particularly that of the Virtual Console. Well, I’ve already come to grips with that situation and realized that both the Wii U and 3DS work differently than the Wii and, therefore, need tweaks here and there that they want to be compensated for. I’ve come to accept that. Perhaps I shouldn’t do that, but there’s a bigger issue at hand than the lack of VC games. Bigger than the lack of consistent new releases for the Wii U. Bigger than the lack of any cross-compatibility of games that release on both Wii U and 3DS consoles. I’m having an issue of simple convenience. 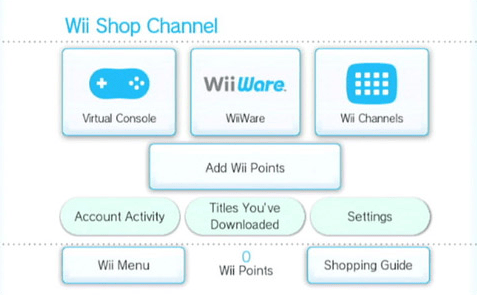 Let’s look back at the Wii Shop Channel from the last generation. The Wii Shop Channel has been rightfully criticized for a number of things, including capping the size of games to 40 MB, slow releases of Virtual Console titles, and for not offering enough demos, all of which I agree with. But there’s also a criticism of being difficult to navigate. Let’s look for a second at the Virtual Console games on 3DS and Wii. There are over 400 games on the Wii’s Virtual Console. Over on the 3DS, there are 113 as of this writing. For the Wii, I can sort the games—my personal favorite is by console—and easily see a list of games in alphabetical order that I can browse through without any problem. On the 3DS, I can either sort by latest release, highest rating, or popularity. Seems like there’s something missing… Oh yeah. ALPHABETICAL ORDER! …assuming you can actually find the games. Also, why doesn’t my eShop have that DSiWare tab? And when it started out, it made sense that you wouldn’t need to sort by console to find the games you wanted. But this service is two years old and has a number of games on different systems. This needs to change. And what about the original games on the eShop versus the WiiWare? There is no doubt about it that the games are of better quality on the eShop than the WiiWare had with classics like V.I.P. Casino: Blackjack, SPOGS Racing, and Midnight Bowling. But with the way the eShop is set up, I can’t find any of the games easily. For example, I did a review earlier this year for Mighty Switch Force! 2, an excellent platformer that released in June of 2013. However, if you go looking for it today, you will not find it on the 3DS eShop. Over on the Wii, if I go looking for LostWinds—one of the original WiiWare games—I can find it through any number of filters. Sure, I can go searching for the game on the service. After all, I do know the title. But what if I’m new to the 3DS? What if I’m someone that doesn’t really look up things online and I just decide to browse through the eShop’s collection? I would be rather underwhelmed because Nintendo is hiding their games from the general public. Say what you like about the Wii Shop, but this never happened on that service. Nintendo, I understand that you want to separate yourself from the problems that plagued the Wii Shop Channel. But I implore you to change this situation. Finding games was not a big problem on the Wii. It could’ve used a tweak on the WiiWare but it worked better than what you’re offering now. You try to promote great things with your digital service. You try to offer a great opportunity for gamers with sales and additional points on Club Nintendo. Why not offer convenience?